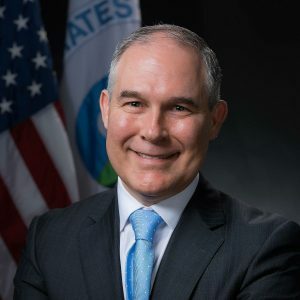 The ranking Democrat on the Senate Agriculture Committee has expressed concerns over the dismissal of scientists by the Environmental Protection Agency. Michigan Senator Debbie Stabenow specifically voiced her concerns over EPA administrator Scott Pruitt’s move to dismiss nine members of the Board of Scientific Counselors, a major scientific review board within the agency. The board reviews the research carried out by EPA scientists to ensure the integrity of the agency’s research findings, including studies on pesticide safety and water quality. Stabenow expressed concern over the dismissals in a letter to Pruitt, citing the importance of the board’s role in safeguarding American agriculture. Stabenow pointed out scientist on the board rationally serve at least two terms, regardless of a change in Administration. In the letter, she asks Pruitt for names of who was dismissed and issues likely to come before the board in the next year, among a host of other questions regarding the review board.